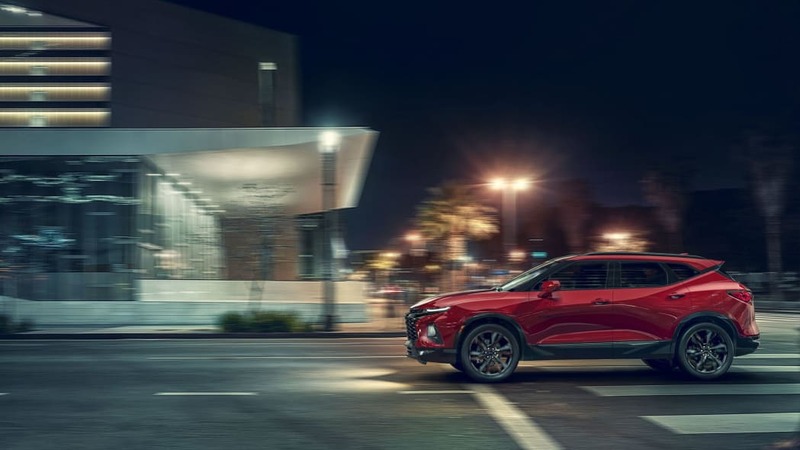 ATLANTA, Ga. — After months of rumors, speculation and waiting, we finally have our first look at the new 2019 Chevy Blazer. 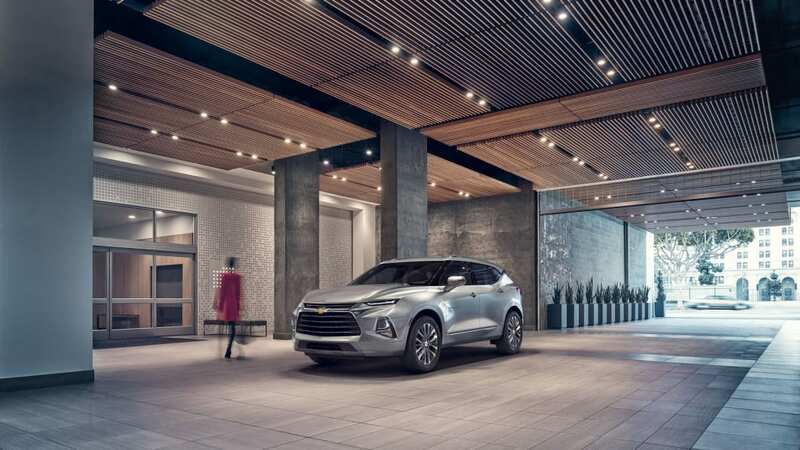 The Blazer's sharp lines are a surprising departure from other more conservative Chevy models, drawing a lot of influence from the refreshed 2019 Camaro. 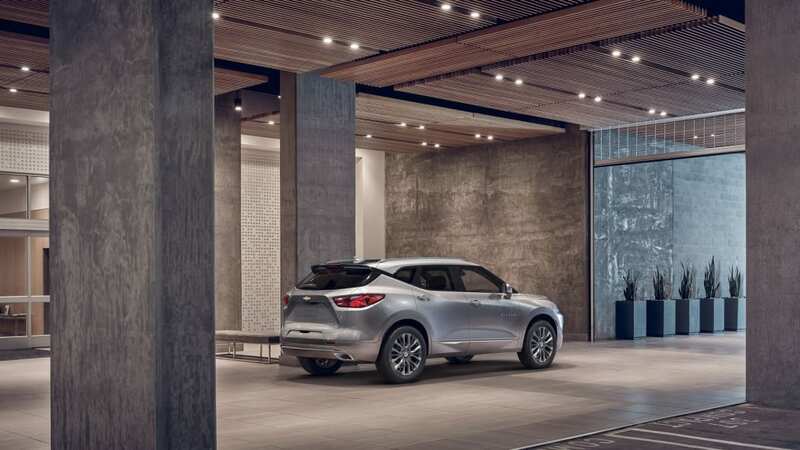 The new two-row model will slot below the Chevy Equinox and larger Chevy Traverse, filling a gap for those who want a larger crossover without a third row. There's no arguing that the Blazer is certainly a standout in Chevy's lineup. Chevy says each trim will have a distinct appearance with different grilles. 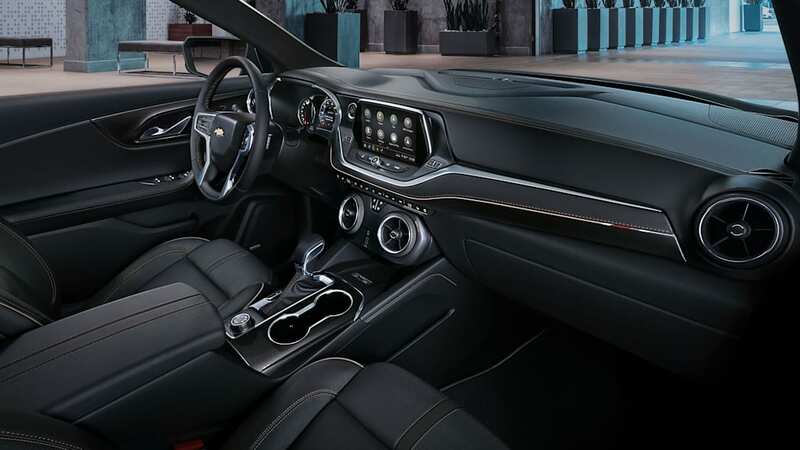 The Blazer RS will have blacked-out trim, while the top-grade Premier model will feature chrome brightwork. 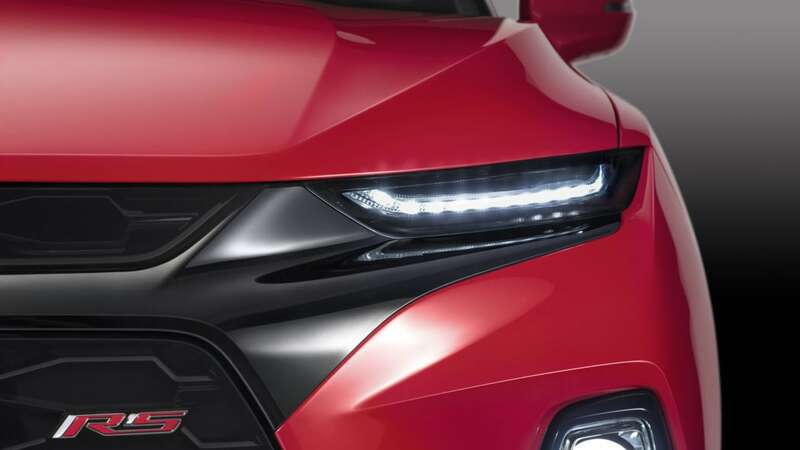 The entire front fascia, from the wide grille to the thin headlights, looks like it comes straight off the Camaro. The HID headlights are accented with LED running lights. The profile features sharp cuts on the doors and the ever-so-popular floating roofline. The standard model comes with 18-inch wheels, though 21-inch wheels are available on both the RS and Premier trims. 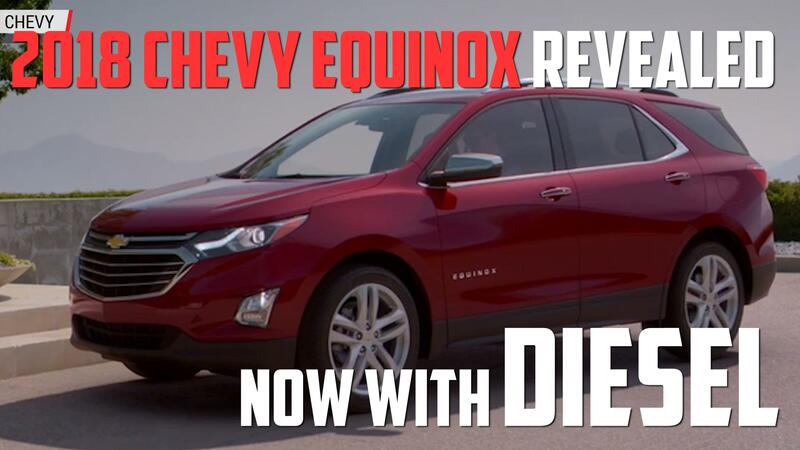 The rear looks less Camaro and more Traverse, though far sharper than Chevy's largest crossover. 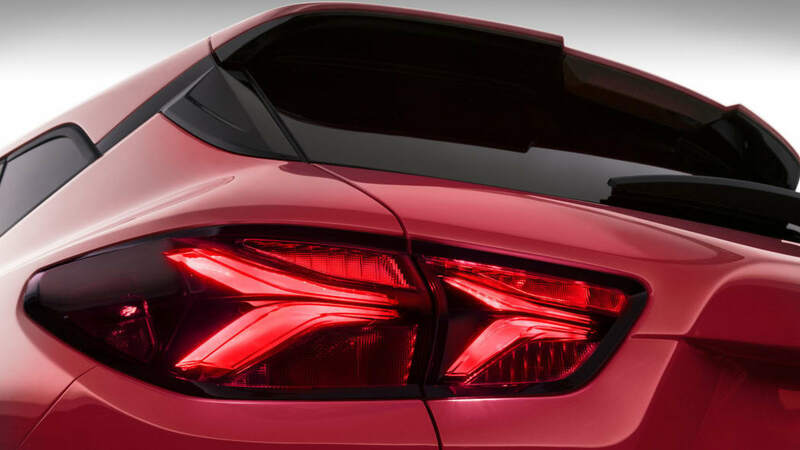 Like the driving lights, the taillights are LED. Inside, Chevy says the new model is about personalization. There will be a number of different interior colors available on each trim. The round vents once again recall those on the Camaro. 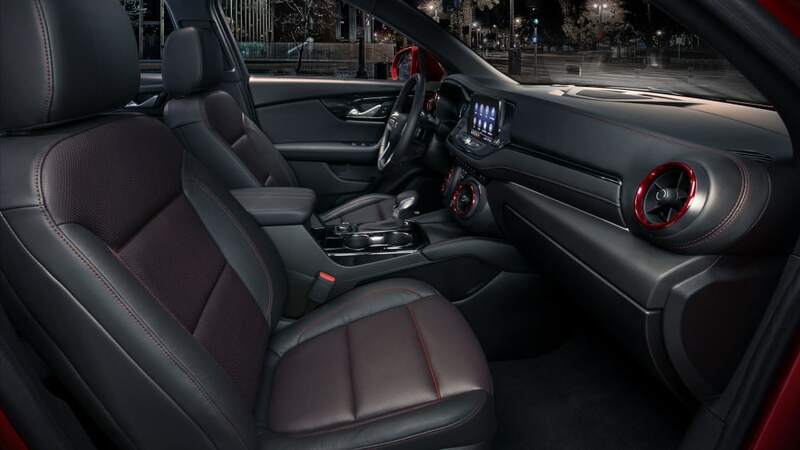 Interior features include an electronically locking glovebox, six USB ports, wireless charging, 4G LTE wireless WiFi and power windows activated from the key fob. Premier and RS models come standard with a hands-free liftgate and are available with adaptive cruise control. Other options include a panoramic sunroof and trailer-hitch assist (on V6-powered models). Premier and RS models come with a new cargo management system. A rail system in the rear has a movable "fence" that helps prevent cargo from moving around too much. 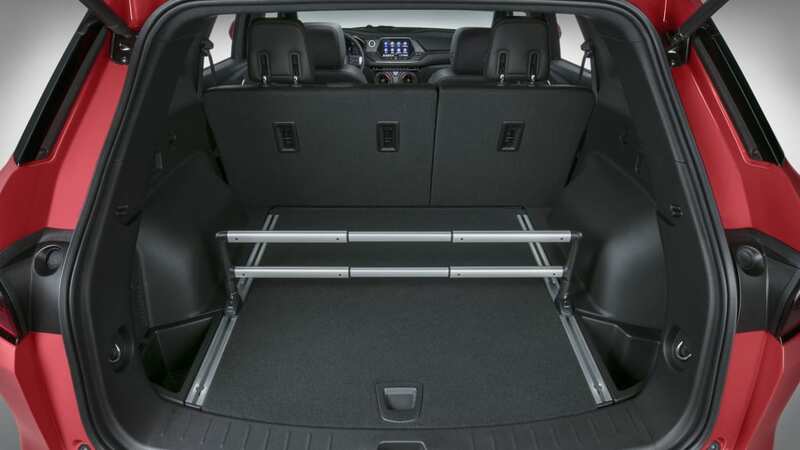 Max cargo capacity is 64.2 cubic-feet, just slightly more than the Equinox's 63.5 cubic feet. 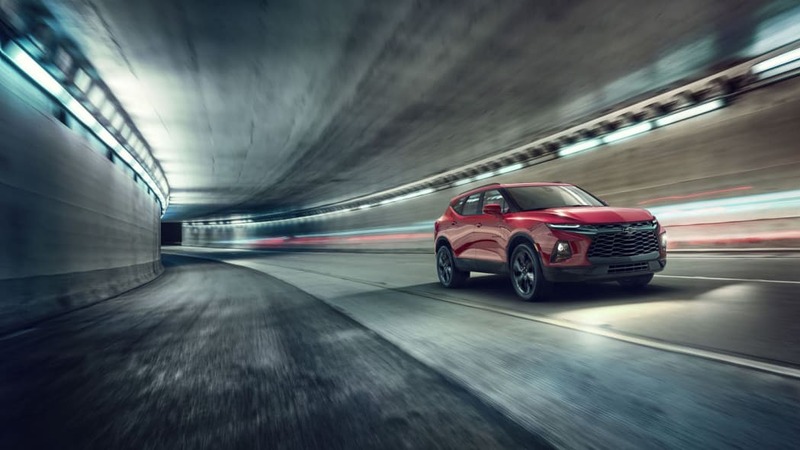 The 2019 Blazer comes standard with a 2.5-liter inline-four making 193 horsepower and 188 pound-feet of torque. GM's 3.6-liter naturally-aspirated V6 is available. That engine makes 305 horsepower and 269 pound-feet of torque. Both engines feature direct injection and stop/start technology and are paired with nine-speed automatic transmissions. The V6 has a max tow rating of 4,500 pounds. Front-wheel drive is standard, though two all-wheel drive systems are available. The standard system allows the rear axle to be decoupled. Running in front-wheel drive helps improve fuel economy. Premier and RS models both get a more sophisticated twin-clutch all-wheel drive system. 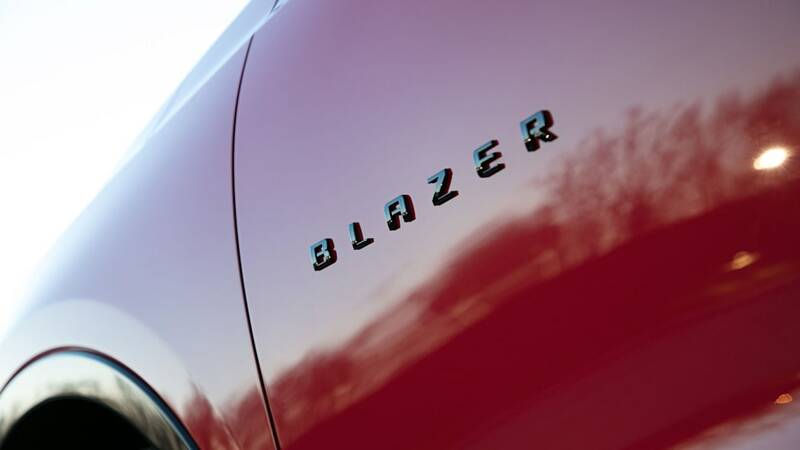 Pricing hasn't been announced, but the new Blazer will hit dealer showrooms in early 2019.